This is one in a series of six doors from literature in shadow boxes. 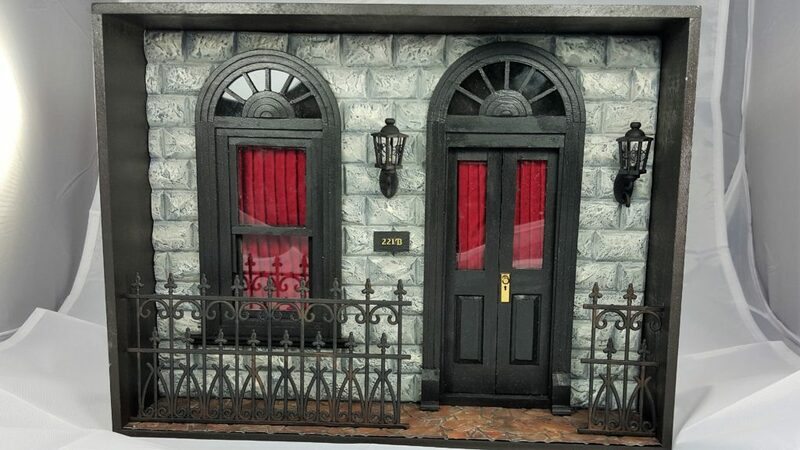 This is my interpretation of 221B Baker street, which is the residence of Sherlock Holmes. 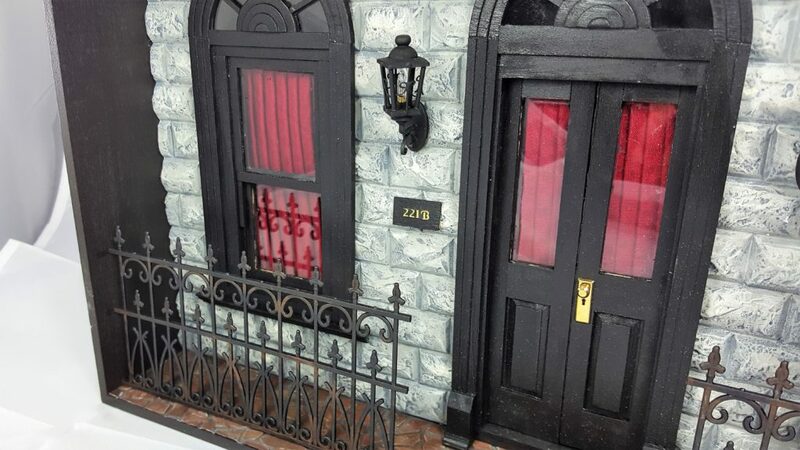 The model is based on studies of houses in London during the time period of the books. 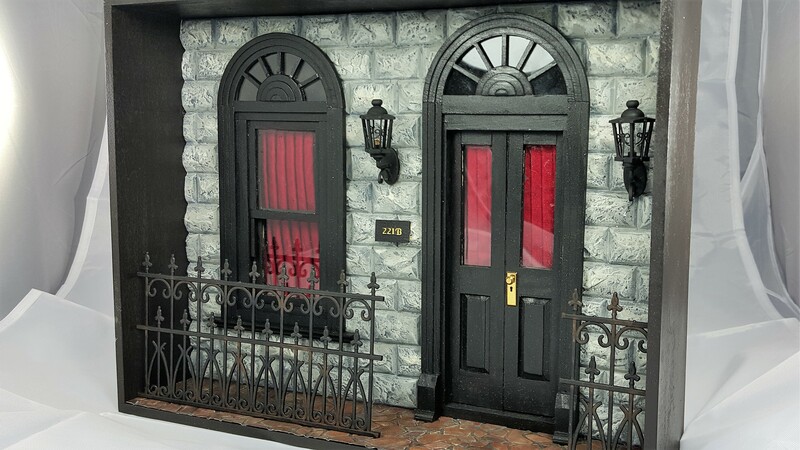 The model is in 1:12 scale.